If you don’t know much about baseball, you probably enjoyed Moneyball’s behind the scenes drama about the rebuilding of a Major League franchise. If you are a baseball fan, you may have still enjoyed the film –as did I—but came away feeling greatly patronized. Such are the same feelings I had about the new Clint Eastwood vehicle, “Trouble with the Curve”, in which ‘the surly one’ plays Gus Lobel, an old school baseball scout battling modernity–as well as physical and emotional issues. Ironically, “Trouble with the Curve” makes the opposite argument Moneyball did. In Moneyball’s opening scene, a bunch of entrenched-in-their-ways, veteran scouts clash with Brad Pitt’s character because he wants to use computer models and statistics to move the team in a new direction. Those grizzled, elderly scouts could have included Clint’s character who prizes tradition, intuition, and gut feelings over data processors. In Moneyball, it’s the nerds who triumph while in “Trouble with the Curve” age-old, Jedi wisdom prevails. What’s also interesting about the trend in baseball movies, so it seems, is that the diamond is no longer the locus of drama. In films such as The Natural, The Bad News Bears, Eight Men Out, and even Major League the focus is on-field exploits and the lead characters are the players. More recently, we’ve left the field of play for the back offices of ball parks where general managers and computer science geeks ply their trade and the hotels and bars which minor league scouts inhabit. The players’ struggles are incidental. It’s the behind the scenes people that Hollywood seems more interested in lately. Is this a good trend? Would we rather see the national pastime dramatized between the lines or come to see it as mere backdrop to larger conflicts? I can’t answer that, though between Moneyball and “Trouble with the Curve”, the former is the better film.  As brief as I can be with a somewhat complicated plot, “Trouble with the Curve” tells the story of Gus, who brass wants to put out to pasture because he’s not with the times. He is sent to scout a phenomenal high school player in North Carolina. The results of this assignment will determine whether the dinosaur shall become extinct or remain on the earth of a baseball field for years to come. That is the plot but not the story. Gus has a semi-estranged daughter, Mickey (Amy Adams), who is worried about his failing eye sight (get it?) and takes a week off from some high-powered lawyering to be with him and work out issues that have gone unaddressed for twenty years. Add to this Justin Timberlake, who, as an actor I am beginning to appreciate more and more. Timberlake plays a rising scout with a rival organization (our own Boston Red Sox). He was a former player whom Gus had brought along until injury ruined his career. Timberlake’s character pursues not only the budding superstar but also Gus’s daughter. There are other subplots too numerous to list, but the film is populated by a number of other fine character actors, as well as John Goodman who turns in the most soft-spoken performance of his career to date. At times the dialogue is clunky and awkward, but “Trouble with the Curve” has humor and chemistry throughout. Clint seems to have picked up where he left off in Gran Torino. At times I thought it was the same character. He’s grouchy (can Clint play anything but?) and lives in a nearly identical house. He drives a Mustang instead of a Torino but they are both Fords of the same era. Despite that, the movie is earnest, patient, and engaging…until the conclusion. I think an open-ended finish would have been better, but the producers rush to tie a bow on this so neatly that authenticity leaves the park (allow me this one baseball metaphor) as the credits roll. In fact, part of the conclusion is so beyond belief baseball fans will feel greatly patronized. Those who are not baseball fans might buy it but even they will perceive how rushed and canned the ending is. 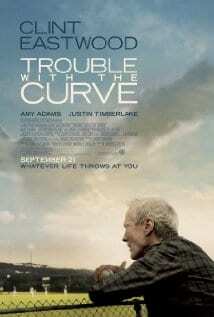 “Trouble with the Curve” is a feel good movie for sure, but I’m not sure how good I feel about it.